Martin Lam is the most wine – intelligent and knowledgable chef in the U.K. Harper’ s Hot 100 Most influential On-Trade people 2017. Since Martin Lam bought the first Spanish artisan cheese I had at Brindisa in 1990, he has become a trusted friend, confidante, customer and colleague. 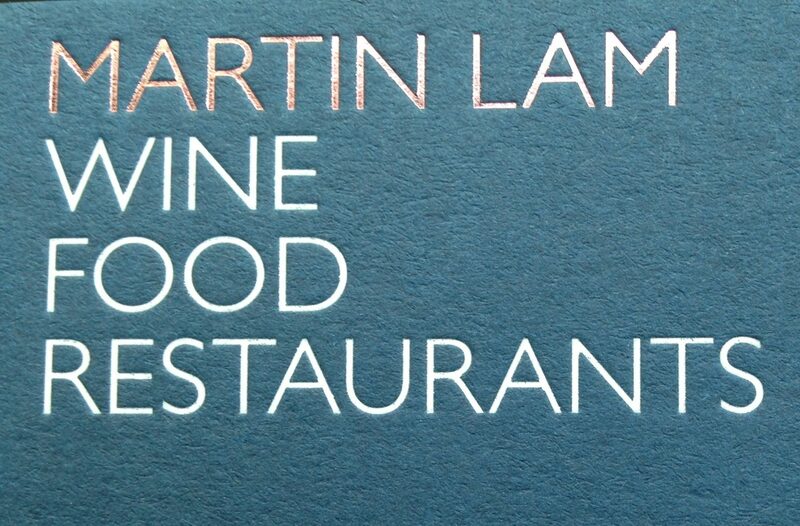 Martin has an immense knowledge of wines, food, hospitality and business. By being such a committed customer at Ransome’s Dock, Martin not only taught us many things at Brindisa, most importantly integrity in this demanding sector, but also helped directly on food projects within Brindisa. I would highly recommend Martin to any hospitality or wine led business. Monika Linton, founder & owner, Brindisa. We’ve worked with Martin for a number of years now and find him inspiring, creative and flexible and he always wows us. He has a precise understanding of flavour and texture and his ability to match wines is compelling. We’ve worked with him on several projects where his ability to create seasonally nuanced dishes to match certain styles of wine has really demonstrated how one can elevate the other. Martin consistently takes it to the next level. Martin’s breadth and depth of knowledge of both wine and food are awe inspiring and it’s always a pleasure to work with him. He understands the restaurant business inside out which gives him an all-too-rare ability to create wine lists and menus that make financial good sense as well being hugely appealing to customers. Kate Hawkings, restaurateur; wine list curatrix; chair, Guild of Food Writers. Harpers goes to Top 50 2018 , I’m now at No. 36! Good to read these as I haven’t bought a newspaper for over 20 years and these are gems about a passing gem!